Juicing has long been considered by many health buffs as one of the best ways to ingest adequate amounts of vitamins and minerals naturally. This is the main reason why it has already been a part in many health dieting routines. 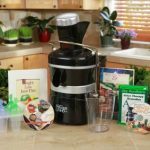 However, there are issues in juicing that starts to rise, especially when people are allowing kids to drink juiced fruits. So people now ask, is juicing safe for kids? 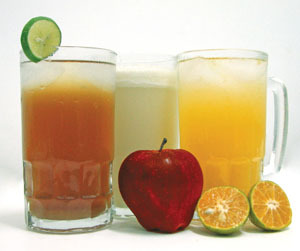 Juicing allows people to ingest adequate amount of mineral from food. In many cases, the amount of vitamins the body can only be acquired naturally thorough eating large amounts of food. This is easily done by juicing food and people can now have adequate intake of vitamins and minerals without the need to eat more what they can chew. Aside from this, juicing also provides a nice way of having children ingest food that they would normally refrain from eating. As children grow up, their attitude towards what they eat will dramatically change. In some cases, parents will have a hard time forcing their children to eat fruits and vegetables. However through juicing, parents can easily make their children the right amounts of vitamins and minerals with ease. Is juicing safe for kids all the time? Juicing is only a method that will allow people to easily ingest large amounts of fruits and vegetables which will be impossible is eaten. 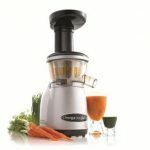 However, as juicing only squeezes the liquid of fruits and vegetables, while the pulp is removed, access to fiber will be limited. Fiber, especially in plants help clean the digestive track. It aids digestion and helps clean the intestines like a brush, scraping all waste products so that it can be excreted easily. Without regular access to fiber, kids will suffer from constipation and other digestive problems. This is why a balance of juicing and eating fruits and vegetables raw is needed so that kids will have a better body. Juicing is not only squeezing the liquid out of a fruit or vegetables. 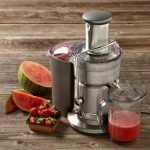 If one wants to really get the nutrients out of the fruit, one needs to get the right juicing equipment. Blenders and food processors are the worst kind of juicers. It shreds the pulp as the blade slides rapidly, which consequently destroys also the vitamins present in the juice. Also, blenders cannot squeeze the juice out of fruits and vegetables. 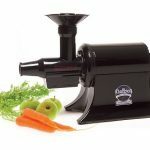 The best way to juice fruits and vegetables is through the use of a masticating juicer. This is a type of juicer that squeezes the fruit dry. 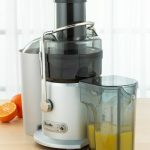 It doesn’t shred the pulp nor violently whirls the juice, though much slower compared to blenders, masticating juicers has the ability to squeeze every ounce of juice out of the pulp. This allows more fruits to be juiced and more nutrient-filled liquid be ingested by people. In the end, Juicing is safe for kids in every way, however one must still encourage them to eat fruits and vegetable raw. As they need the fiber to improve digestion. So, start juicing now and see you kids grow healthy and active. Is Juicing Safe For Teenagers?